Dal 1988, Acogny ha creato assoli per se stessa, e dal 2003 crea per la sua compagnia, Jant-Bi conosciuta a livello internazionale i cui ballerini provengono da l’Ecole des Sables, un centro internazionale per la danza africana tradizionale e contemporanea che Acogny e suo marito Helmut Vogt hanno creato nel 2004. Il centro è un luogo di scambio tra ballerini africani e ballerini provenienti da tutto il mondo . Acogny è stata nominata Chevalier, Officier e Commandeur dell’Ordine delle Arti e delle Lettere dal governo francese. Inoltre è stata nominata Cavaliere della Legione d’Onore e Cavaliere dell’Ordine Nazionale del Leone dalla Repubblica del Senegal. Germaine Acogny’s teaching is based on her specific technique of MODERN AFRICAN DANCE, a synthesis of Traditional Dances from West Africa (Sahel and forest area) and Contemporary Western Dances. This technique is absolutely comparable to Western techniques such as Graham’s or Limon’s. It is related to the idea that African Dances are a continuous dialogue with the Cosmos. She works a lot with improvisation techniques. She trains the African dancers to make them discover their own way, transforming their traditional dances into Contemporary expressions and forms. Most of her movements are inspired by nature – plants or animals, but also by elements of daily life in Africa. They are precise and clearly defined and deeply related to breathing. The movements of the Acogny’s technique are named from symbolic natural images such as “fromager tree”, “water lily”, “deer”. Breathing and deep-rooting are also very important parts of the exercises. These exercise help to liberate the body, to feel it differently, to be deep-rooted on the ground and feel verticality better. 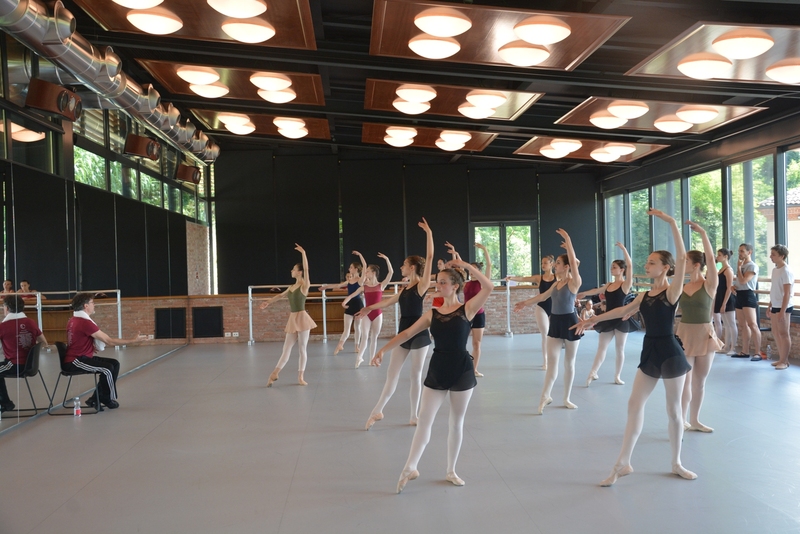 The movements also contribute in enriching the dancer’s physical vocabulary. Senegalese and French Choreographer Germaine Acogny has developed her own style and technique of contemporary African dance. She continues to choreograph, dance, produce, and teach around the world. Since 1988, Acogny has frequently created solo pieces for herself, and since 2003 she has choreographed for her company, Jant-Bi, which tours globally. The company’s dancers are all graduates of l’Ecole des Sables, an International Centre for Traditional and Contemporary African Dance that Acogny and her husband Helmut Vogt created in 2004. The center is a place of exchange between African dancers and dancers from all over the world. Here, dancers from all over Africa receive the rigorous training that guides them toward Contemporary African Dance. Prior to her 2004 Grants to Artists award, Acogny created Sahel (1987), her first solo; Ye’ OU (the awakening (1988); Africa, this memorable body (1989); Yewa, sublime water (1994), for her company; Z (1995), for the São Paulo City Ballet; Tchourai (2001), a solo; and Fagaala (2003), for Jant-Bi. Her 2004 FCA grant supported the production of Waxtaan (2006). Since this time, she has created Scales of Memory (2007) and Songook Yaakaar (2010). From 1977 to 1982, she was the Artistic Director of Mudra Afrique, created by Maurice Bejart and The President L.S. Senghor in Dakar. Acogny was appointed Artistic Director of The Dance section of Afrique en Creation in Paris, a position she held from 1997 to 2000.